F-Style clamps are used for a number of different applications where a large clamping capacity/distance and a wide “throat”/depth of clamp are required. 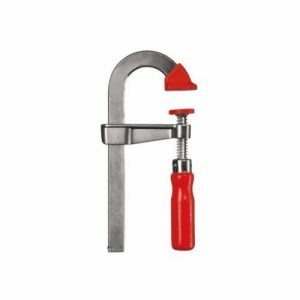 While excellent for clamping cabinets, the F-style clamp is one of the most versatile clamps available and can be used in a wide range of applications. 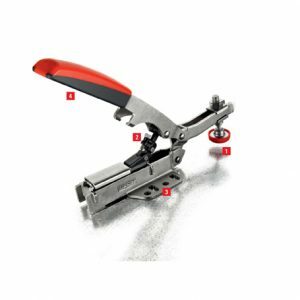 Sash clamps are mostly used for the clamping of edge-edge board lamination and cabinet clamping. Very often used in industrial applications. However, they can also be used in a number of different clamping requirements. Lever clamps come in a wide range of styles. 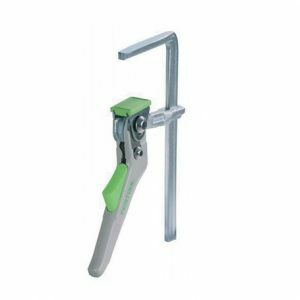 All lever clamps have a clever system of engaging the clamping mechanism. 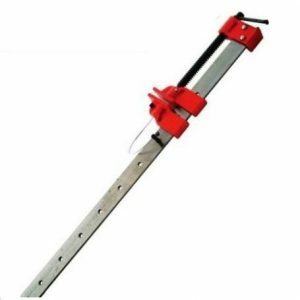 This is done by pulling a lever, and the main advantage of this is the speed at which the clamp can be adjusted, clamped and unclamped. Spring clamps use a spring to keep them clamped, very similar to a clothes peg. 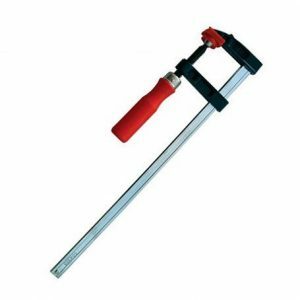 They are easily used with no need to adjust the clamp, and are best used where the amount of clamping force required is low. Bench clamps are mounted directly to your workbench and are excellent for repeatable work. Brilliant when a number of the same workpieces are being processed one after another. Bench clamps are extremely useful when joining using a pocket hole jig. Clamping a mitre joint is a difficult task to to accomplish with traditional clamps. Picture frames, glass cabinet frames and specialist joints need to be clamped while the glue dries. Mitre clamps allow this task to be achieved easily. Pocket hole joints need to be clamped while driving in the screw or the joint will move. The pocket hole clamps are designed specifically for this short term clamping requirement. 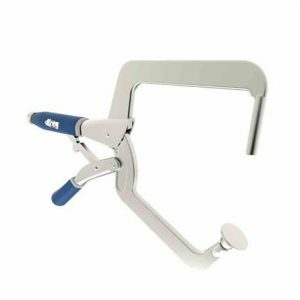 A range of different clamps are available depending on the type of joint needed. 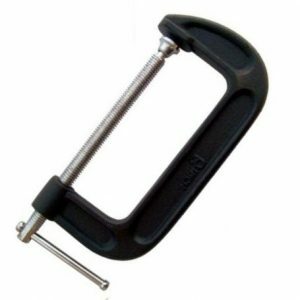 A heavy duty and very common clamp, the g-clamp has a wide range of uses. Often used to clamp material down firm to a workbench. Because of the strength of the clamp, bent material can be forced flat before being worked on. Similar to the f-style clamp, the u-style clamp offers extra space at the top of the clamp to reach over the workpiece. An example of use is clamping a workpiece which has a lipping on the edge. The U gives the extra space to miss this lipping. Band clamps are used for clamping pieces of irregular shapes. 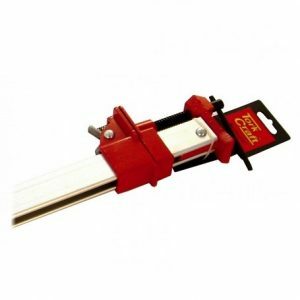 Can be used to clamp mitre frames, whole cabinets or even furniture like chairs. 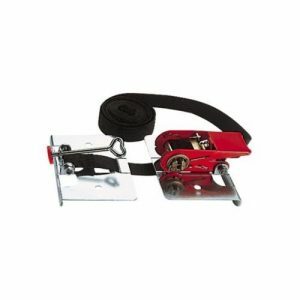 Band clamps work like a strap which is tightened around the work piece. 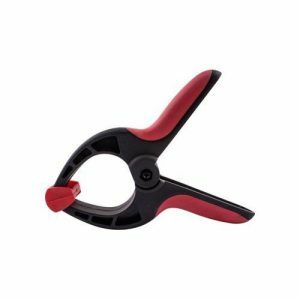 There are a multitude of specialized clamps available for almost every clamping task. Most are designed for very specific requirements. 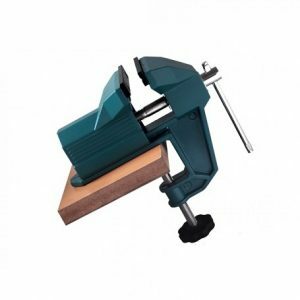 A bench vice is a very useful tool, not only for woodworking, but for most DIY tasks. 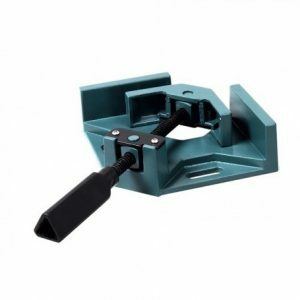 It bolts onto your workbench and allows you to easy clamp a workpiece into position. They can generate a large amount of force, so care needs to be taken to protect your workpiece.